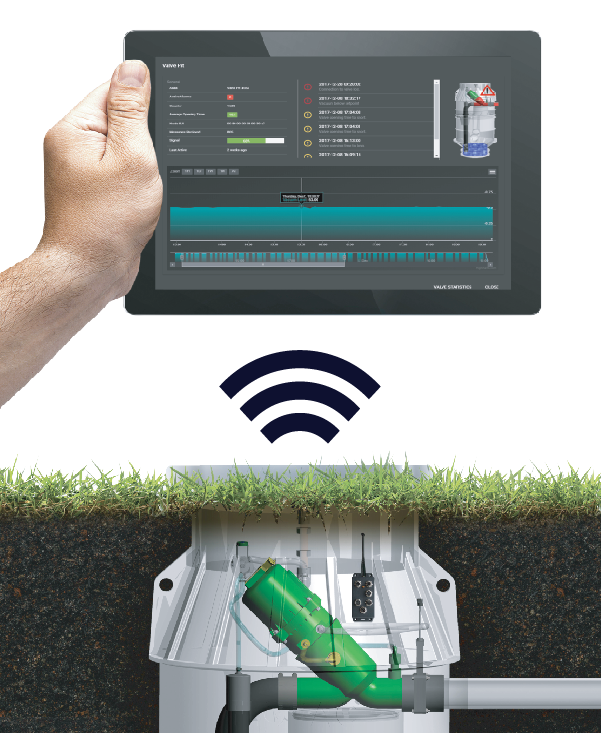 Flovac Wireless Monitoring Systems allow operators to pinpoint exactly what is going on in their vacuum sewerage network cutting down both time in the field and the risk of potential overflows. Many operators will tell you that it can take a very long time to find the source of a problem in a vacuum sewer system, but then take very little time to fix. The European standards for vacuum sewers have required for many years that all vacuum valves in a network have some form of monitoring. At its most basic, it should show a valve that is stuck open or a high-level alarm in a collection pit. Flovac has always been at the leading edge of developments in cable monitoring systems which are used extensively around the world. However, when retrofitting older vacuum systems that do not have monitoring already installed then it is impractical to lay cable in the ground to connect each collection pit to your SCADA network. It is not only expensive but also inconvenient to homeowners. 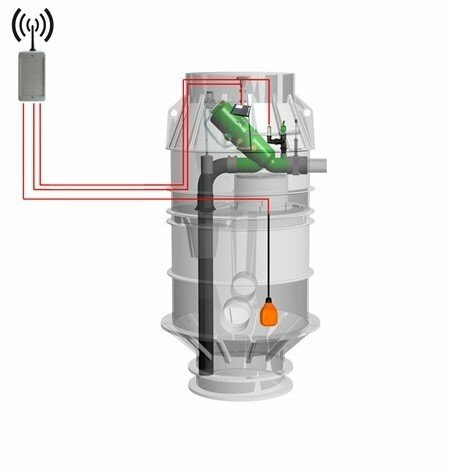 Over the past ten years Flovac has pioneered the development of wireless monitoring systems trialing a variety of technologies. All have common requirements. As Flovac have also operated and maintained a number of vacuum sewerage systems, our German operations group currently maintains over 100 systems, we have a good idea about what is useful information for our operators, and what is useful information for our operations managers. Over time clients have added a number of items to the wish list which we have been able to accommodate. Basically, our operators want to know where to go to if there is a fault, and what sort of problem they are likely to encounter. Is a valve pit about to overflow? What is the vacuum pressure, at specific points within the vacuum system, and at the vacuum pump station? Operations and Asset Managers often wanted more detailed information. How many call-outs to the system and why? Is Infiltration occurring in the system and where from? Is anyone discharging high volumes into the system? 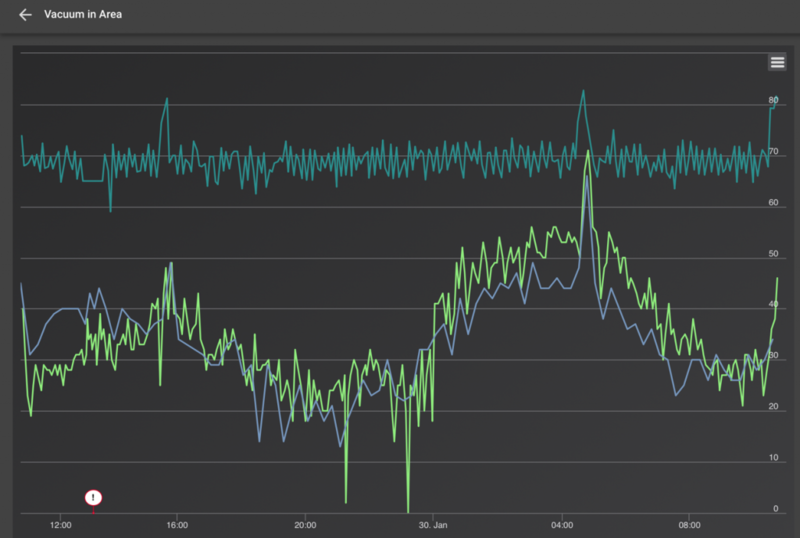 Is the air to sewage mix correct, can we save on energy costs? When do parts need changing in the valves and controllers? Is there a leak somewhere in the system? The ability to control vacuum valves within the network. Two-way communication. This allows clients to increase or decrease the amount of air in the system, this can avoid waterlogging and enable the systems to cope better through high load weekends and extreme wet weather events. 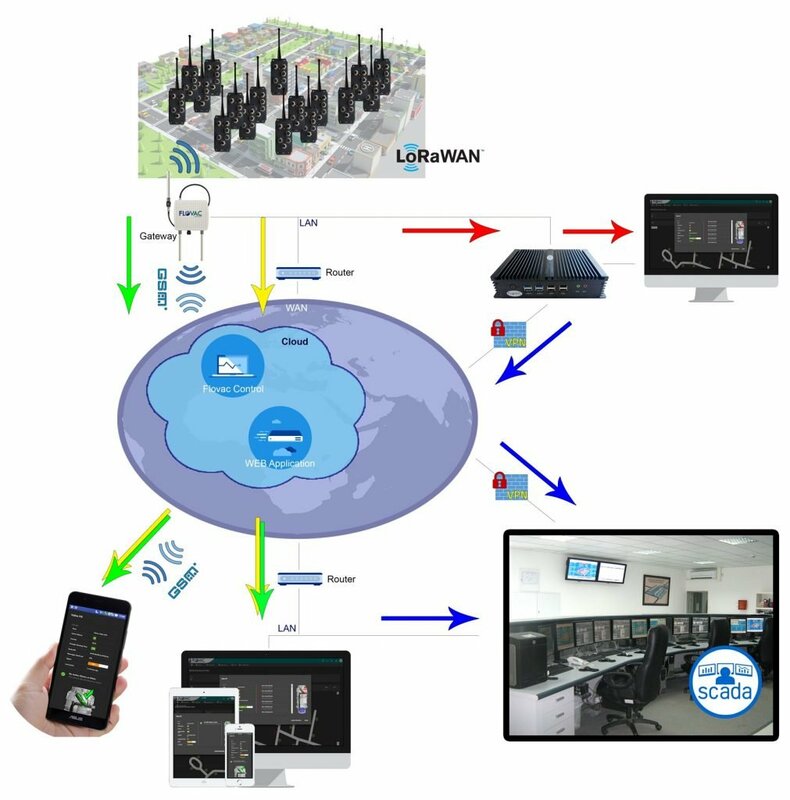 The use of IOT technology has meant that a single gateway can not only cover quite large areas, it can also cope with more than 20,000 devices sending information to it. This is allowing customers to receive not only information from the vacuum system, but also from low pressure grinder pumps, gravity pump stations and water meters. Bringing everything to a single platform.